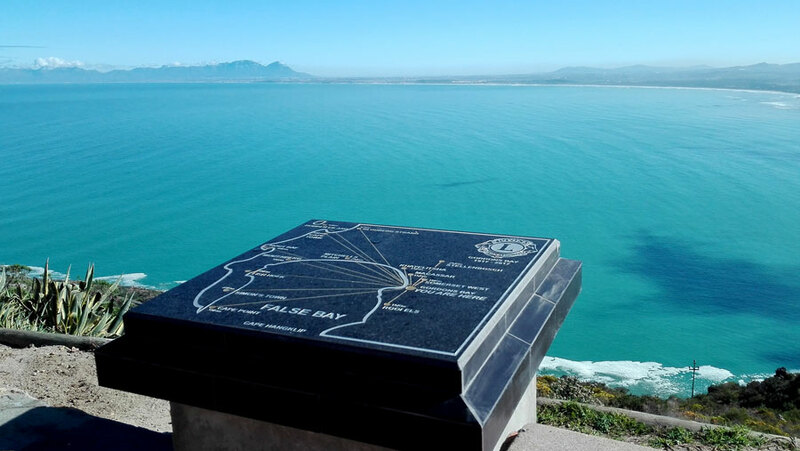 The Gordon's Bay Lions Club serves the unique needs of the communities we live in, in the Helderberg area. Being part of Lions International, it means that we're global and can address challenges that go beyond our borders. Lions are changing the world one community at a time, by addressing needs at home and around the globe. We believe that kindness matters and by working together, we can achieve bigger goals. Lions and Leos support five global service areas: vision, hunger, environment, childhood cancer and diabetes. Lions have been working in their communities for the past 100 years since 1917 where they have helping, leading, planning and supporting the neediest in our societies and also assisting in regions battered by natural disasters. There are more than 1.45 million Lions worldwide in over 200 countries and in over 46 000 clubs doing volunteer work in their communities helping, leading and supporting the most needy by providing their support in schools, créches, hospitals, senior centres, day clinics, eyeglass recycling centres and more. 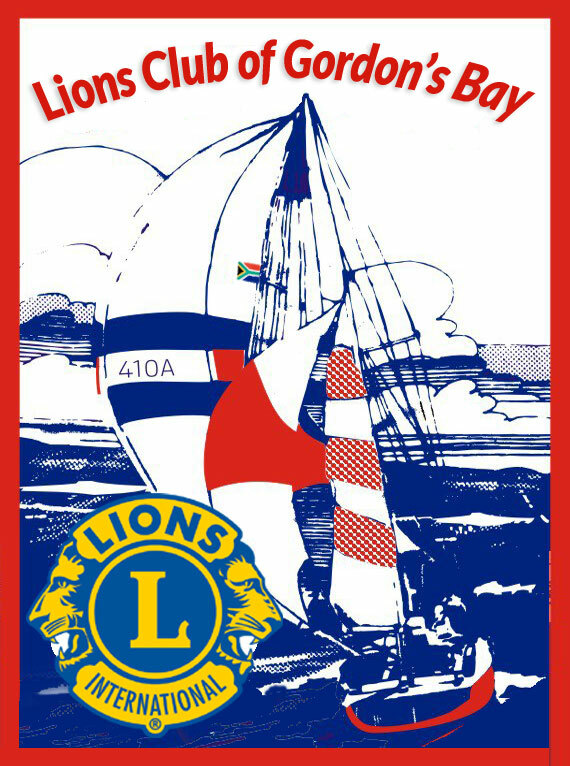 The Gordon's Bay Lions Club has been serving the community or the Helderberg for the past 30 years. We are involved with many projects, touching the lives of the people that we serve. We are a group of passionate Lions who strive to make a difference. We are looking for you to assist us to continue with the work that we are doing. 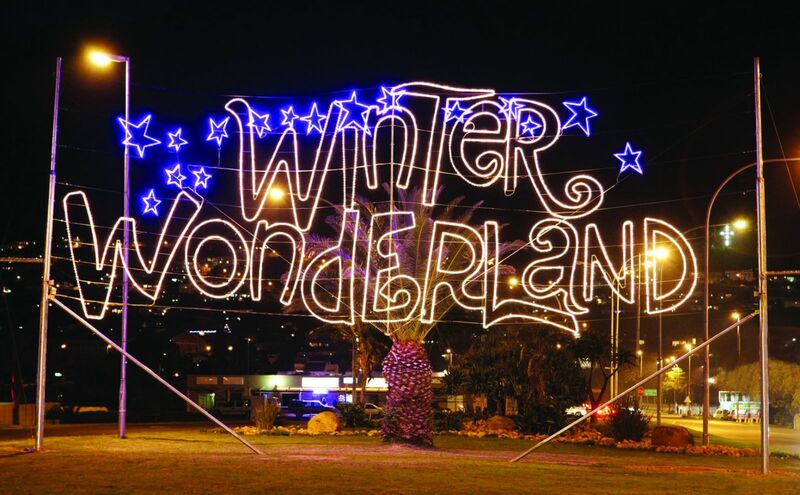 Gordon’s Bay hosts the spectacular Winter Wonderland Festival of Lights from 14 – 16 and 21 – 23 June 2019. Come join us for music, markets and merrymaking! Bring the whole family for a day of fun, excitement, fantastic food from all over the world, art and crafts, interesting toys for dad, competitions, our fantastic Winter Palace with snow and the fun fair. 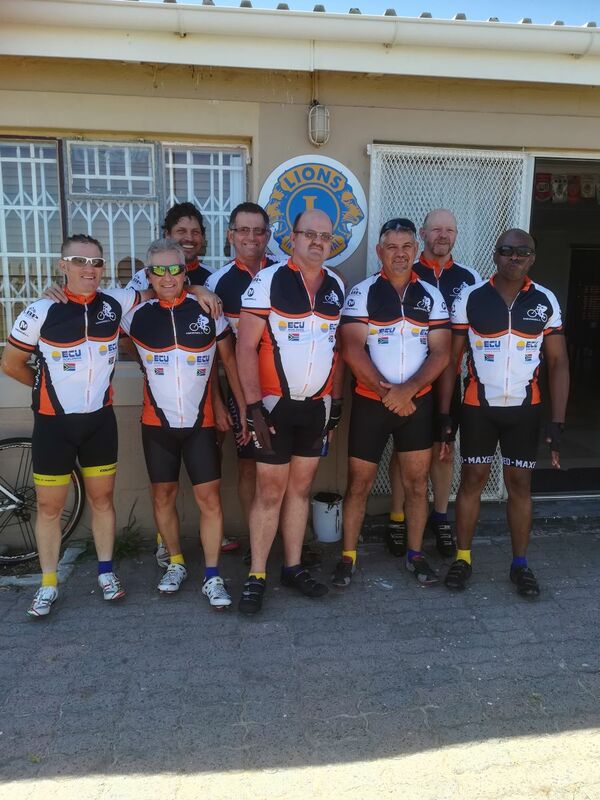 The Gordon’s Bay Lions Club has been hosting the Down Syndrome Cycle Tour for approximately the last 12 years. 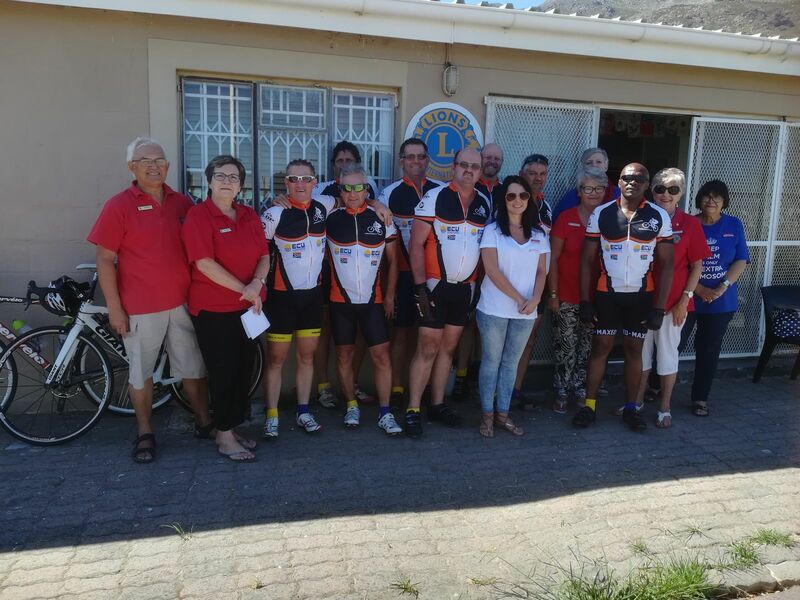 The tour’s first stop was at the Gordon’s Bay Lions Club house for refreshments, and we handed over a donation of R2000 to start their cycle tour and wished them all the best for the rest of the tour. 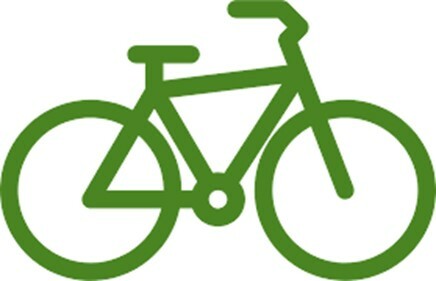 The Annual Cycle tour is one of Down Syndrome Association of the Western Cape’s (DSAWC) main fundraising events and a huge contributor to their yearly resources. This year the tour started on 25 February 2019 in Bellville and will continue for 5 days, during which time they will stop at various towns to create Down syndrome awareness and raise funds, by visiting schools, churches and the local business sector. DSAWC is hoping to break their previous records by raising R53 000. Lions clubs around the world are encouraged to sponsor students in the 2018-19 Lions International Essay Contest. This essay contest was created to offer an opportunity to visually impaired young people to express their feelings of peace. The theme of the Lions International Essay Contest is "Kindness Matters." Students who are visually impaired and who are ages 11, 12 or 13 on November 15, are eligible to participate. 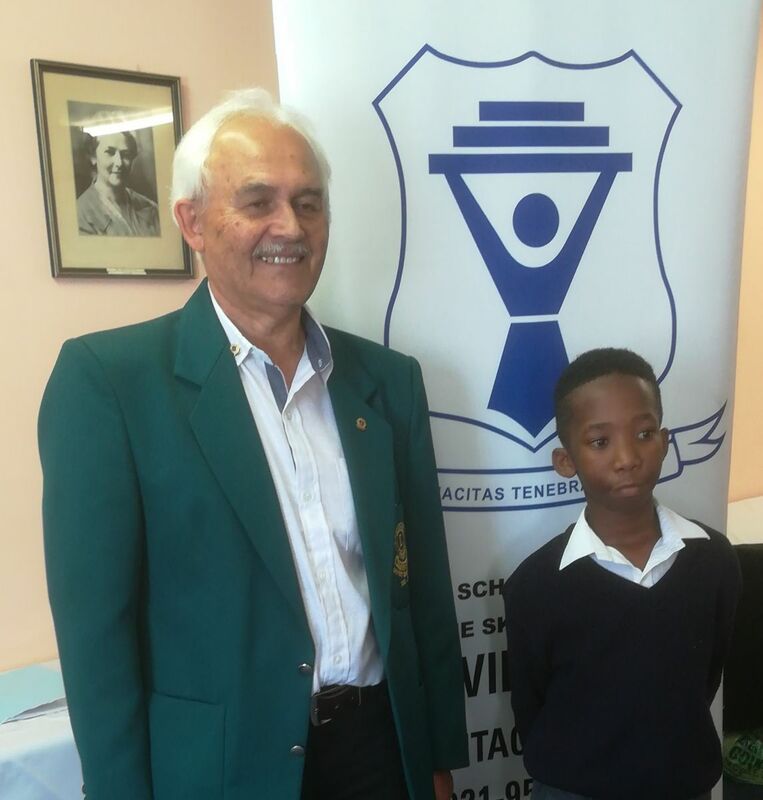 The winner of the essay competition in the District 410 is Lunga Nqobe from the Athlone School for the Blind, who submitted the essay included below. Congratulations Lunga on a most inspiring essay! We live in a world that shows kindness to us. We bring hope to the world and kindness says a lot to us and tells about happiness, love, respect and peace. There is lot of people on the earth and if we show kindness we show the purity of our hearts. Each day we meet different people which we refer to as being strangers because we do not know them but we are missing the exciting part which by getting to know people each day and learn about new things and different worlds that each person lives through their lives, kindness keeps us connected to each other, kindness comes with healing, reaching out to them and hearing their cries which shows that we are caring and committed people. Some people may struggle communicating with others but with a smile that can show them that everything is okay and that they have nothing to worry about which can be a song of peace. They learn about these things at home and parents tell us to be kind to strangers especially to them as our fathers and mothers, as for youngsters, teenagers, our brothers and sisters and we must trust not to forget the smile on our face as a song of respect. South Africa has struggled to do this with foreigners, we say that they are competitors, enemies and don’t forget that they are human too and are working for the same goals. Kindness is an act of love and a appreciation for each other not only in our community that we live in but across the world, take it as an exercise to be there whenever something goes wrong we learn by doing mistakes. Living in prosperity and making our families happy, kindness is huge coming to you personal when you look at yourself. Enriching lives of the poor and teaching our friends and others that we are kind. A world with kindness is able to move forward and we bring hope to the world because we want to make a better place to live. We are the future of our tomorrow so as the future it is up to us to make the world a better place to live, a place called home. Hope is being faithful, believing that everything can be possible with only just a little difference in ones life, so let start believing and making change, as the saying goes “a little goes a long way”. In the picture below is of Lion Jimmy with Lunga Nqobe the winner of the Essay Contest for 2018-2019 for our district. Lunga was entered by the Lions Club of Gordon’s Bay. The handover took place on 10 April 2019 at the Athlone School for the Blind, and was met with great excitement as all the children who were entered the contest was acknowledge and the winner was announced. Prize money of R2000 for the winner and R2000 for the School. Diabetes is a global epidemic, affecting an increasing number of men, women, and children all over the world. As Lions and Leos, we see and feel the effects of diabetes in our communities and are doing something about it together. Currently there 424.9 million people living with diabetes worldwide, with 4 million people dying each year as a result of diabetes. In Africa, the number of people with diabetes is expected to increase by 162.5% by 2045. 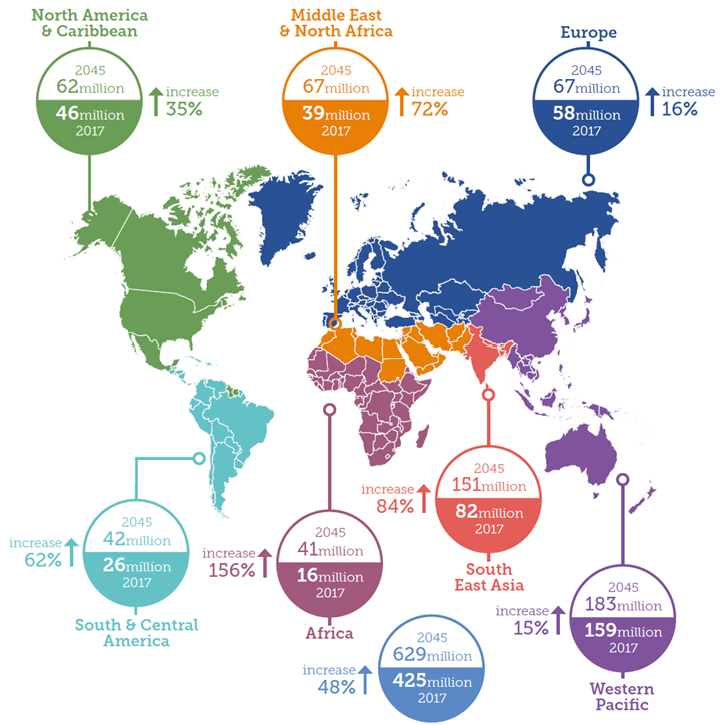 The infographic below shows the number of people with diabetes worldwide in 2017 and how this number might increase by 2045. Our Bargain Box Charity Shop needs stock! The income from this shop is vital to all clubs involved and it also enables the not so wealthy members of our community to buy the available items at very low prices. Please check your cupboards if you have any clothing and/or household items that you would like to donate. The Bargain Box will greatly accept all men’s, ladies, children clothing and household items. Established in 2009 to address widespread hunger in South Africa, FoodForward SA connects a world of excess to a world of need by recovering surplus food from the consumer goods supply chain. In partnership with various stakeholders, we implement an ecosystem that uses surplus food as a catalyst for social change. FoodForward SA’s model promotes 11 of the United Nation's 17 Sustainable Development Goals (SDGs). 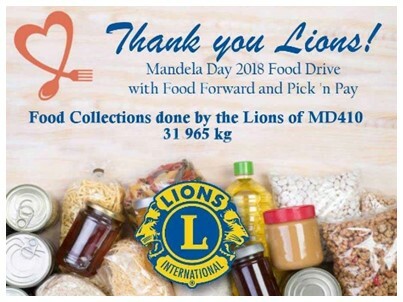 The Gordon's Bay Lions Club provided support to Pick n Pay Gordon's Bay with the food collections drive as part of a Lions district project, which resulted in the collection of 31 965 kg of food. The 2018 food collections supported 600 beneficiary organisations at 97c per meal and 4,6 tonnes of food will be distributed in order to feed 250 000 people per day, or 17,6 million meals per year. We thank the community of Gordon's Bay for their incredible support! “Kindness Matters” is a saying that encompasses the way Lions view and serve the world. It’s a powerful sentiment that everyone knows, yet is too often lost. Who better than our youth to remind the world of this powerful and important message? For over three decades, Lions clubs around the globe have been sponsoring a very special art contest in schools and youth groups. 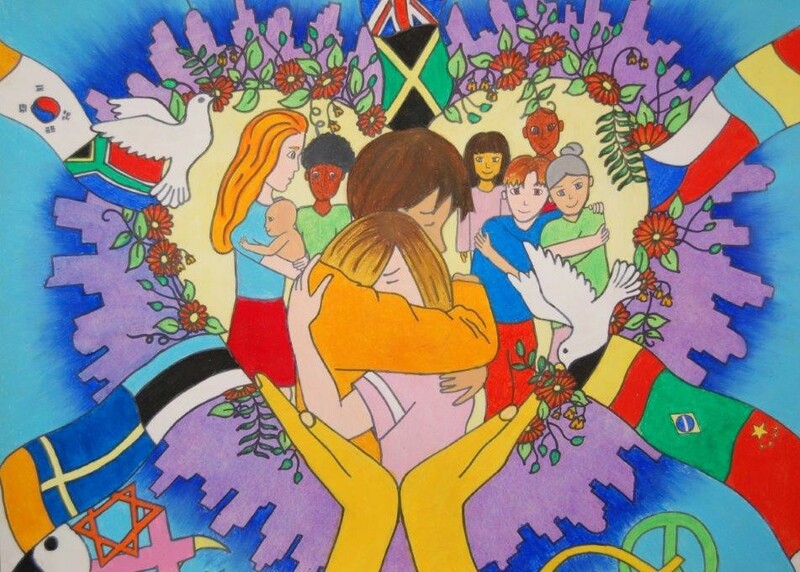 Creating peace posters gives children everywhere the chance to express their visions of peace and inspire the world through art and creativity. The theme for the 2018 Peace Poster is "Kindness Matters".